Games are getting bigger and the PS4 comes with 500 GB of storage as standard. There are 1 TB models on the market but even that is not enough when it comes to holding a library of games. That is why it is a good idea to have some external storage in order to store and access games on the go. External drives for PS4 will give you more storage and will help you move those huge files. Some of these drives offer faster speeds as compared to the internal drive that the PS4 comes with. Here we are going to look into the best external drives that you can buy for your PS4. The following are the best external drives that we can recommend for your PS4. The drives included on this list cater to different needs. Some offer higher speeds, as the SSDs, while there are traditional HDD options that come in larger capacities of up to 8 TB. Which should be plenty to hold more than a couple of games. If you are looking for a new drive to add storage to your PS4 then the WD 2TB My Passport external HDD is a great option. It offers great read and write speeds and comes in multiple colors as well. The HDD uses a USB 3.0 interface which means that you will get higher transfer speeds as compared to older HDDs that use USB 2.0. If you are looking for an external HDD for your PS4 that offers a lot of mass storage but is also slim and light then this is an option worth looking into. The WD 4TB My Passport has a modern and clean look and is light as well, so you can take it with you. The standard PS4 comes with 500 GB or 1 TB of internal storage. With the WD 4TB My Passport you can add 4 TB of capacity and you can keep plenty of additional games as compared to the internal HDD alone. The dimensions of the drive are 4.33 x 3.21 x 0.85 in and it weighs 0.54 lb. When using USB 3.0 the drive can do 110 MB per second. Here is what you need to know about the WS 2TB My Passport drive. The Toshiba Canvio Basics might not be the best HDD and it might not offer the most space but it will add 1 TB of capacity to your PS4 for around $50. That is great value for money. Keeping in mind the price, you are getting what you are paying for. If you need extra storage for your PS4 and are looking for an inexpensive option that will double your storage then this is an option worth looking into. The Toshiba Canvio Basics is not as sturdy or reliable as the WD drives, so that is something that you will need to keep in mind if you are interested in getting one of these HDDs. The speeds are decent and like your average HDD. 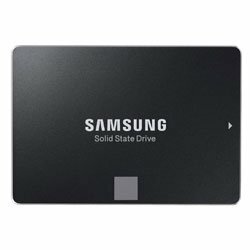 Getting an SSD will be better but if you are on a budget then this is an option for you. All things considered, here is what you need to know about the Toshiba Canvio Basics drive. 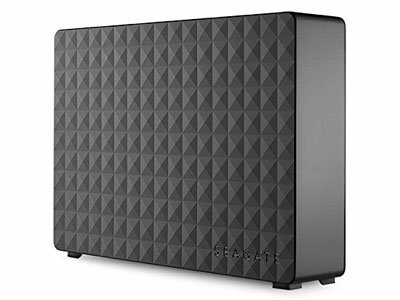 Seagate STEB6000403 6TB HDD is a great option if you need to download your whole library. You need to have a pretty big library to get up to 6 TB and keeping in mind that the internal storage also offers 500 GB you should be left with some free space. Games are getting bigger so I would not be surprised if someone was able to full up this HDD. If that is the case then there is an option that comes with 8 TB. For the price, this is great value for money but you will need to remember that this is an HDD so you will get slower speeds as compared to modern SSDs. The dimensions of this HDD are 6.93 x 4.75 x 1.44 inches which means that you won’t be taking it out with you too much. It is more of a desktop storage option for your PS4. The weight of the 2.09 lbs. Here is everything that you need to know about the Seagate 6 TB HDD. The Adata SD700 SSD is very well made and out of the box it comes water/dust/shock Proof, which means that it can take a beating and withstand an accident or two. Having that said this is an SSD so the value for money is not as great as an HDD but you are getting faster transfer speeds which means faster loading for games. If you want faster loading times instead of additional storage then the Adata SD700 SSD is a great option that you should check out. The company claims that it can do Read/write speed up to 440MB/s, which is very impressive indeed. What you are paying for is the additional speed and the edge that you get over the traditional HDD. You get a 3-year warranty in case something goes wrong, you will be fine. The Samsung SSD T5 500GB is the best option that you can buy for a PS4 right now but you will pay a premium for the build and the additional speed that you are getting as compared to a regular HDD. Faster speeds mean lower loading times which is something that all console players will appreciate. If you want nothing but the best and are looking to double your storage and getting great loading times then this is the SSD that you should get. Included in the box are USB Type-C to Type-C and USB Type-C to A cables. So, you should be fine even if you do not use USB Type-C. Other than that, the dimensions of the drive are 2.3 x 0.4 x 3 inches so it is very small and will fit in the palm of your hand. 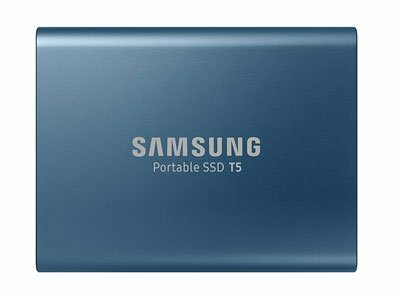 Here is everything that you need to know about the Samsung SSD T5 500GB. Here we have another SSD which will deliver better boot times and faster loading times in games. You can expect to feel a drastic difference in performance when loading games from the drive or when transferring files. The SSD has a thin and light design and offers 540MB/s transfer speeds which are much higher than your traditional HDD. This is another SSD option that you can look into if what you prefer is speed. An SSD will get you faster loading times and better transfer rates. While the SSD is faster because it has no moving parts and uses more technology it is expensive when compared to a traditional HDD. The drive uses USB Type-C interface which has started becoming common now and it should become the standard in the upcoming month. Here is everything that you need to know about the Seagate Fast external SSD. Here we have another external storage device from WD. Western Digital is very well known for making reliable storage devices and that is why we have an external SSD from the same company. This is the My Passport Go that comes with extra protection so that your drive is safe even if it takes a beating. While the My Passport Go is not the fastest drive in the world it is rugged and can take a beating. If that is something that you are interested in then you should consider buying this drive. The drive can endure a drop from up to 2 meters and it can also take bumps and shakes. This is a rugged model which you should buy if you travel a lot or find that you are dropping things by mistake. The drive is pretty small and comes with an integrated cable. This is an SSD so you can expect to get faster boot times and reduced loading times when playing games. Transfer speeds are also higher when compared to traditional HDD. The SSD has no moving parts to it can withstand the test of time. While storage is getting cheaper and SSDs are more affordable then ever they are still a bit expensive when compared to HDDs. Here is what you need to know about the WD My Passport Go Cobalt. While external drives are great, I am sure there are people that just want better, faster storage for their console and they don’t want to plug in an additional drive. That makes perfect sense. The drives that come inside the consoles are not the best and provide below average transfer speeds. Plus 500 GB is nothing today. If you are interested in upgrading the drive that you PS4 came with then here are a couple of options that we can recommend. The Seagate 2TB FireCuda Gaming SSHD is a hybrid. It is not a traditional HDD or SSD. It comes between both options. That is one of the reasons why it is great value for money. While this is a 2.5-inch drive, it offers up to five times the speed of a traditional hard drive while providing mass storage. 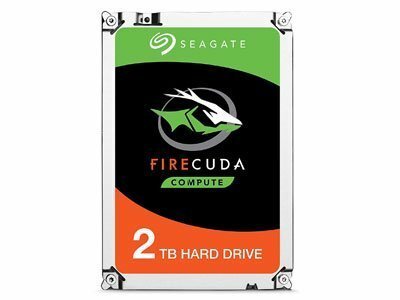 Seagate FireCuda is a hybrid device that offers higher speeds than traditional HDD but offers the same capacities. If you are interested in getting faster speeds but do not want to spend too much money then this is a great product to consider. If you have a 500 GB console then you can swap the hard drive to get an additional 1.5 TB of storage which should be enough for plenty of games. The drive comes with a 5-year limited warranty which is a lot. This shows how confident the manufacturer is in the product. Here is what you need to know about the Seagate FireCuda Gaming SSHD is a hybrid. This is a fairly common drive that is used by gamers all over the world which is known for being great value for money and reliable as well. While the speeds are the same as any traditional drive you do get additional storage when compared to an average 500 GB drive that a regular console comes with. The drive uses the SATA 6GB/s interface and you can choose to go with higher capacity options as well if you need more storage and are willing to pay for it. Multi-tier caching technology increases performance while lower power consumption. The drive comes with a 2-year limited warranty as well. All things considered, here is what you need to know about the Seagate BarraCuda internal hard drive. The Samsung 850 EVO is one of the best SSDs that you can get on the market right now. Storage is getting cheaper and SSDs are more affordable than ever before. There are no moving parts in this drive which adds to the durability. The Samsung 850 EVO SSD is one of the best SSDs on the market right now. If you are willing to pay more for better speeds as well as other features then this is what you need to get. If you go for the 1TB version then you will have double the storage. You will also get faster boot times and games will load much faster as well. The drive comes with a number of features which include Rapid Mode, Turbo Write Technology, advanced encryption and dynamic thermal guard protection etc. It is also easy to install. Sequential Read/Write performance is up to 540MB/s and 520MB/s respectively. Here is what you need to know about the Samsung 850 EVO SSD. Getting a new storage drive for your PS4 can be tricky no matter whether it is an external one or an internal drive. These are all the drives that we can recommend. If you want expandable storage then we have recommended the external drives, which are some of the best on the market. If you are looking to change the internal hard drives then you can pick from some of the most popular drives on the market that we have included. When in the market for a new storage drive there are a couple of things that you need to keep in mind. These devices might seem similar but they perform differently depending on different factors. Here are some factors that you need to consider when in the market for a new storage drive. The traditional hard drive is very cheap and is great value for money when you compare the price to the capacity. Thee drives have moving parts which degrade performance when used. SSDs, on the other hand, are a bit expensive but are faster. SSDs can offer up to 10 times faster speeds as compared to HDDs and SSDs do not have any movable parts so there is minimal performance degradation and durability is also much higher. Over the past couple of months storage has become very cheap and SSDs are more affordable than ever. Storage is another factor that you need to consider. Up to 4 TB SSDs and HDDs are very common. HDDs and SSDs capacities can range up to 60 TB but the capacities available for consumers is limited to 16 TB in most cases. Getting higher capacity SSDs can be very expensive indeed that is why people do not usually by more than 4TB at a time. When dealing with storage devices, you need to account for the failure rate. Data is something that you don’t want to lose. You need to keep in mind that HDDs are mechanical and have moving parts. SSDs have a lower failure rate than HDDs. All drives are not made the same. Some drives fail during the first-year whole others can last for 6 years and still perform decently. This is something that you will need to look into before buying a storage device. When it comes to price HDDs are relatively inexpensive keeping in mind the capacity of storage that you are getting for the price. SSDs are a bit expensive but you do get better speeds. This is a bit of a trade-off. If additional storage is your priority then you should go with HDDs but if you want faster storage then SSDs are the way to go. We have included all the information that you need in order to make an informed decision regarding getting a hard drive for your PS4. Keep in mind that at the end of the day you are getting what you paid for and that you will need to pay more for better speeds and loading times. SSDs are a bit expensive but they are cheaper than ever right now and will soon become the standard. You should look into moving on to SSDs if you have not done so already. I hope that this guide has provided you with all the information that you needed and that now you can make a decision easily.